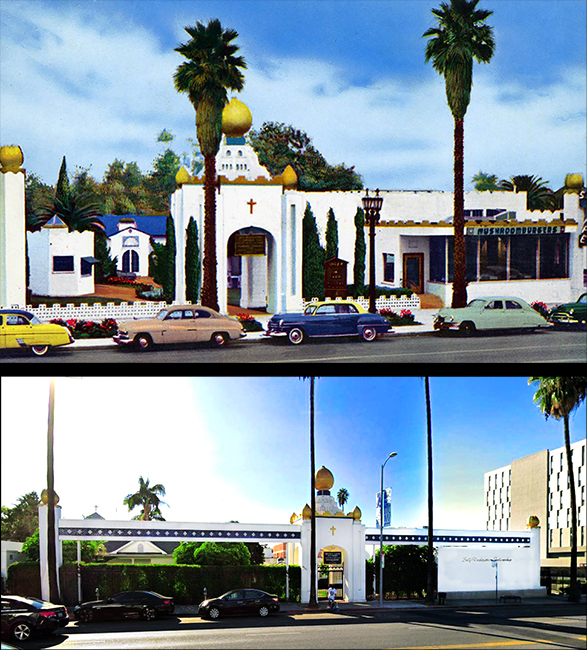 The Golden Lotus Gateway to Self-Realization Fellowship Church of All Religious and India Center, located at 4860 Sunset Blvd. (next to Mushroom Burger). Postcard appears to be around 1958.